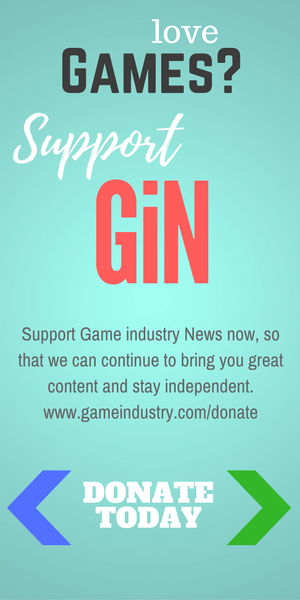 We are pleased to announce the newest addition to Game industry News, GiN eSports Coverage. This will be a bi-weekly column featuring news, competitions, team features, and what’s new in eSports. Competition coverage will be reported as it happens, so articles may come between the bi-weekly reports. What is eSports? If you are new to the world of eSports or competitive gaming it includes professional and amateur competitions and tournaments with video games. These can be console and PC games and hosted by outlets like Major League Gaming and ESL. Major League Gaming (MLG) hosts the MLG Pro Circuit and GameBattles, which are cross-platform online gaming tournaments open to anyone. GameBattles cover an array of games from Call of Duty, Overwatch, Madden and FIFA, Destiny, Gears of War, Halo, and many others. Major League Gaming is now hosting private match competitions for Destiny by Bungie. 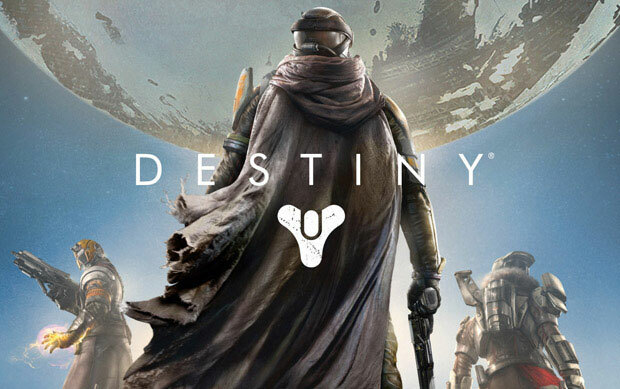 It’s a feature open to current next-gen console Destiny players. This will feature about 30 maps and 18 competitive modes in the Crucible. It is the first step for Destiny becoming a competitive eSport. Major League Gaming also has some upcoming pro competitions including the Gears of War 4 invitational Oct 22-23. The 2016 World of Warcraft Arena World Championship’s road to BlizzCon was also hosted by MLG, which included the three qualifier cups back in June and July. 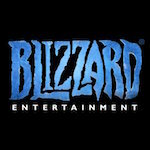 BlizzCon, a celebration of Blizzard Entertainment’s games, will be hosting several major tournaments including the World of Warcraft Arena World Championship, Heroes of the Storm Fall Championship, Overwatch World Cup, Hearthstone World Championship, and StarCraft II World Championship series. BlizzCon will be held November 4th – 5th in Anaheim, CA. The next big eSports network is ESL. ESL hosts many tournaments for amateur players and professionals. The ESL pro league includes games such as Halo, Counter Strike: Global Offensive, Gears of War, Mortal Kombat, and Hearthstone. They also host National Championships. In this column you might be reading news coming from both Major League Gaming and ESL so this was a basic introduction to them. There are numerous games that are played in the world of eSports. Some of the top Pro tournaments that may be covered in this column are League of Legends, Dota 2, Call of Duty, Overwatch, Counter Strike, StarCraft II, and around BlizzCon World of Warcraft. From September 29th to October 29th the League of Legends World Championship, with a top prize of $1 million, will be held. Starting with the group stage, quarterfinals, semifinals, and the finals on October 29th in Los Angeles. Of all the eSports, League of Legends published by Riot Games, is the most popular and widely known. The game is a fantasy Real Time Strategy and RPG game that is fast paced where players, known as summoners, use champions with different play styles to compete across multiple battlefields and modes. There are many different champions to choose from with various magical abilities. Teams must destroy a structure known as the nexus in the opposing team’s base protected by defensive structures. Another fantasy RTS game and Multiplayer Online Battle Arena (MOBA) game is Dota 2 by Valve. A player controls a hero with abilities. Two teams of five players compete to destroy a large structure in the opposing team’s base. StarCraft II by Blizzard Entertainment is another Real Time Strategy Game. Teams compete to destroy the other team’s buildings. Like many other RTS games in StarCraft you have units with unique roles on the battlefield while some construct buildings and gather resources others are military units that are used to attack the other team’s built structures. In StarCraft players choose between races Terran, Zerg, or Protoss. Most of the other games mentioned like Counter Strike, Call of Duty, Overwatch, and Halo are all first person shooters. I recently came back from Activision’s Call of Duty XP where I covered the Call of Duty World Championship. 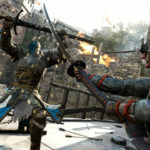 This was the first eSports coverage I have done for gameindustry.com and inspired me to continue and from this column. Call of Duty will be a big part of the GiN eSports only because I am familiar with the game and it’s becoming a popular eSport. The 2016 Call of Duty World League Championship had the largest viewership of any Call of Duty Championship in their four-year history. 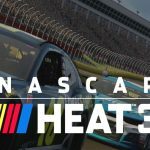 Thirty-two teams played for $2 million in prizes over the four-day competition. At the end it came down to the European team Splyce and the North American team EnVyUs. Team EnVyUs won taking home the title of World Champion and $800,000. To learn more about the Call of Duty: Black Ops III competitions check out my coverage. The other games I mentioned will be discussed in further articles. There will be discussion about games that are First Person Shooters, RPG and RTS games, and that require team play. There is another type of game I do want to cover in this column and that is sport games. In particular, popular EA (Electronic Arts) sports games such as Madden and FIFA, and Konami’s Pro Evolution Soccer (PES) League. With Activision working with Major League Gaming on an eSports division EA last December announced the launch of the EA competitive gaming division. The division is for competitive esports that include FIFA, Madden NFL, and Battlefield. 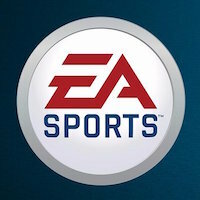 Even better news came out of E3 where EA announced weekly competitions in new competitive modes. For those readers who are fans of Madden NFL 17 there will be a $1 million Championship series over the next year. The top prize will go to the top player in the series. This is an exciting time for eSports, with many new titles coming into the competitive gaming scene such as Overwatch and Call of Duty and established games like League of Legends still going strong. However, it’s the newest competitions such as Destiny’s new private matches and the EA’ s weekly competitions that are open to all players that have me looking forward to writing these articles. Competitive gaming is not just about the pro teams it’s about players at home that love these games and want to participate and earn prizes for competing. It’s also these players that have a chance to go on to become the next pro champions. For example the Call of Duty World league championship invited amateur teams to compete in Los Angeles through online tournaments. For me, I am big into First Person Shooters playing games like Call of Duty and Destiny and Real Time Strategy Games and will be following these types of games closely. However, I also know the popularity and fan base of sports games such as FIFA, Madden, and PES so look out for coverage of those tournaments. I love sports, especially soccer, though I may have last played FIFA on the PS2 it would be easy to get back into playing it and Madden NFL. Another way eSports is gaining in popularity is from the help of not only the developers and publishers of games such as Activision and EA and coverage by outlets like ESPN and Twitch TV but also from well-known athletes. ESPN reported that Richard Sherman the Seattle Seahawks cornerback attended the Call of Duty World Championship and even played some Infinite Warfare at XP. He states that he has played Call of Duty since 2008. Other athletes that are investing in esports are Los Angeles Rams offensive guard Rodger Saffold, NBA hall of famer Shaquille O’Neal, and Former Los Angeles Laker Rick Fox. Rodger Saffold is the owner of Rise Nation. Rise Nation made it to the Bracket of the Call of Duty World Championship losing to Splyce 1 – 3. Shaquille O’Neal along with Alex Rodriguez and Jimmy Rollins are investors in the team NRG esports with teams competing in League of Legends and now Overwatch. Rick Fox is the owner of Echo Fox another League of Legends team. 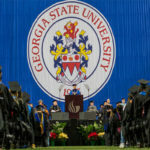 If you are in High School, thinking about college , and are into competitive gaming there is some good news. Six colleges now in the United States are offering up scholarships for eSports, mainly League of Legends. The colleges are University of California, Irvine; Robert Morris University, Chicago; University of Pikeville, Kentucky; Columbia College; Maryville University, St. Louis; and Southwestern University. Colleges do not have to be officially offering eSports for students to get involved. Riot Games is offering up support for League of Legends clubs to compete in a program called University League of Legends. That is my short introduction to the new GiN esports column. 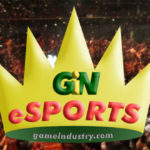 Start looking out for news, competition coverage, game info, pro coverage, and maybe even some interviews as we get going with the exciting world of eSports.